An elegant twin stem Phalaenopsis Orchid. This stylish plant, originating in South East Asia, displays multiple flower heads which resemble moths or butterflies. The Phalaenopsis Orchid makes an instant impact and is a great way for you to show a loved one you care on their special day. 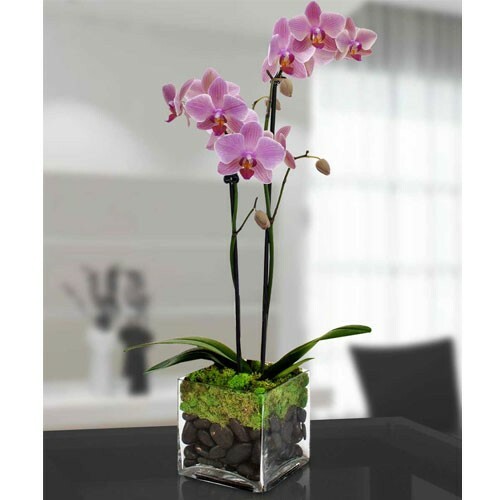 Quantities 2 Phalaenopsis Orchid in a glass vase.